Summer is nearly behind us and Fall is about to be underway. This may be your last chance to really slow down and catch your breath before the hustle and bustle of the holiday season begins. Any day now, the stores will be filling up with winter decorations, playing holiday music, and spreading the cheer of the season. Are you prepared for the winter season? It is never too early to start planning out your holiday lighting ideas. Though seasonal lights are expected throughout the holiday season, there is no reason that you can't make them functional as well. As we get deeper and deeper into the fall and winter months, the sun begins to set sooner and it stays darker much longer. Because of this, it is a great idea to use your seasonal lights to brighten up your landscape, your home, and your mood. Here are the top five holiday lighting ideas for decking the halls - and your landscape! It's pretty common for homeowners to string lights on their gutters and rooftops, but you can get much more use out of your lights than that. One of the best holiday lighting ideas is to use your trees, shrubbery, and other landscaping elements to brighten up your yard. One easy way to add light to your yard is by wrapping a string of lights around the trunk and limbs of your trees. Net lights are also extremely easy to set up over any bushes or shrubs and will easily add color and brightness to your yard. You may also consider wrapping lights around your mailbox post, garden archways, etc. The sky is the limit, so get creative! 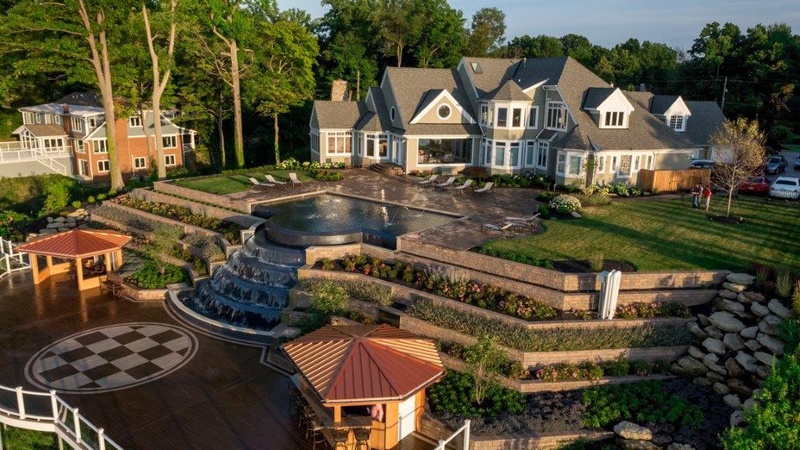 Sure you want your home to look nice for your family, friends and neighbors, but you also have to keep your own needs in mind. Take a seat in the areas of your home where you will most often be exposed to or near windows throughout the winter months. Looking out those windows, you can get the clearest sense of where lighting would best serve your interests by keeping your lawn bright and cheery. Put emphasis on these areas to keep your spirits high throughout the season. If you want your lighting to be functional, it is important to remember that larger, retro-style bulbs will supply far more light on one single strand than multiple strings of standard-sized lights. 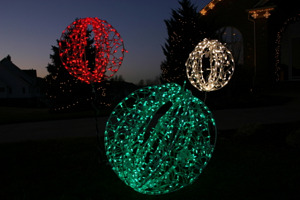 Large, bright, holiday colored bulbs can also be great for your house or street lamp. Of course, beautiful holiday ornaments and light links will also add an element of design and a splash of color and bring joy to your home. 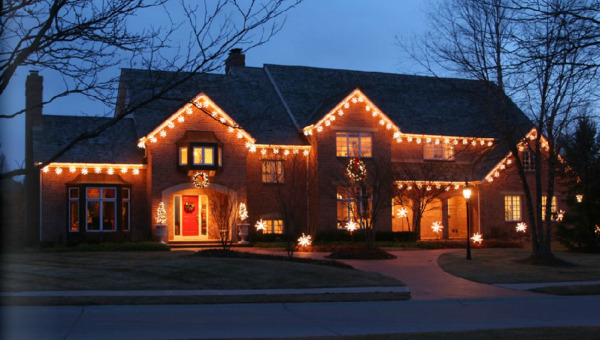 One of the most popular holiday lighting ideas is to put your seasonal decorations on a timer. If you don't like the idea of coming home from work in the dark, you may consider setting up your timer to switch your holiday lights on before you arrive home. You can also use timers to automatically switch off so that you don't forget, saving you money. If you are purchasing new holiday lights, it is smart to buy Energy Star LED lights. This will give you the most bang for your buck so you will hardly notice an increase in your electric bill throughout the season. In fact, you may be shocked to learn that Energy Star lights can save you 90% on your utility bill! On top of this, your home safety is improved as these LED lights operate at far cooler temperatures than your old ones.